Nearly untouched by Western civilization, the country is rich in traditions and culture, and has a lot to offer. With our Morocco walking holidays, you can choose an easy tour including the bustling cities of Fez and Marrakech. 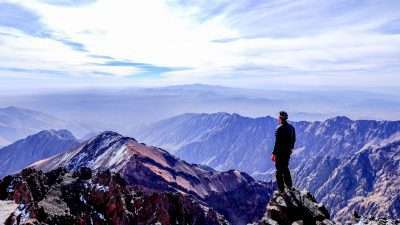 Or you can opt for a more demanding but still comfortable hike in the High Atlas mountains and valleys or a Sahara desert trek and camel riding. 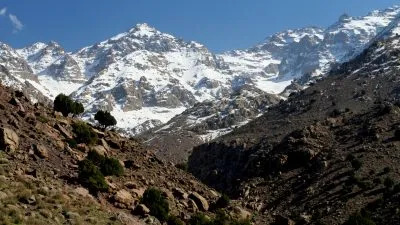 And of course the highlight is climbing Mount Toubkal, the highest peak in North Africa and the Arab world. All our walking holidays in Morocco are privately guided – you will not be part of a group and while in the mountains your party will be accompanied by a personal guide, a cook and a muleteer. 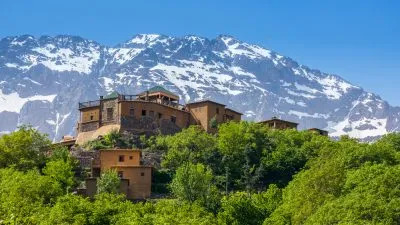 Our High Atlas and Marrakech in Comfort walking holiday in Morocco will let you experience the beauty of Berber villages and High Atlas valleys with picturesque scenery, dramatic passes, non-technical peaks and the guarantee of a cheerful welcome from the Berber people. Spend the nights in comfortable riads and 4-star hotels, some of them with pools. Where Do our Walking Holidays in Morocco Take Place? Morocco is one of the few countries near Europe which provides exceptional safety while it still excites as an exotic destination. Nearly untouched by Western civilisation, the country is rich in traditions and culture, and has a lot to offer. Exploring the country with a Morocco walking holiday will give you a chance to experience people’s hospitality and enjoy the spectacular scenery. The lower prices (compared to other ‘exotic’ countries) and the ease of getting there from the UK and mainland Europe are only a bonus to what will undoubtedly be an epic holiday. 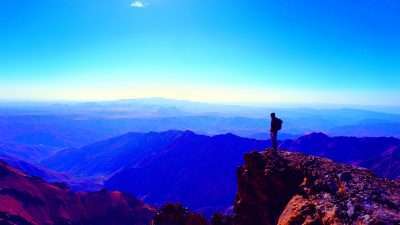 We have designed a range of walking holidays in Morocco which provide varying levels of comfort and difficulty so that you can find the walking holiday in Morocco that best fits your abilities and preferences. You can choose an easy walking holiday in Morocco including the vibrant cities of Fez and Marrakech and the charming coastal town of Essaouira. 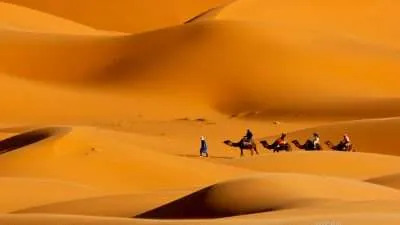 Or you can opt for a more demanding but still comfortable hike in the High Atlas mountains and valleys or a camel trek in the Sahara Desert. 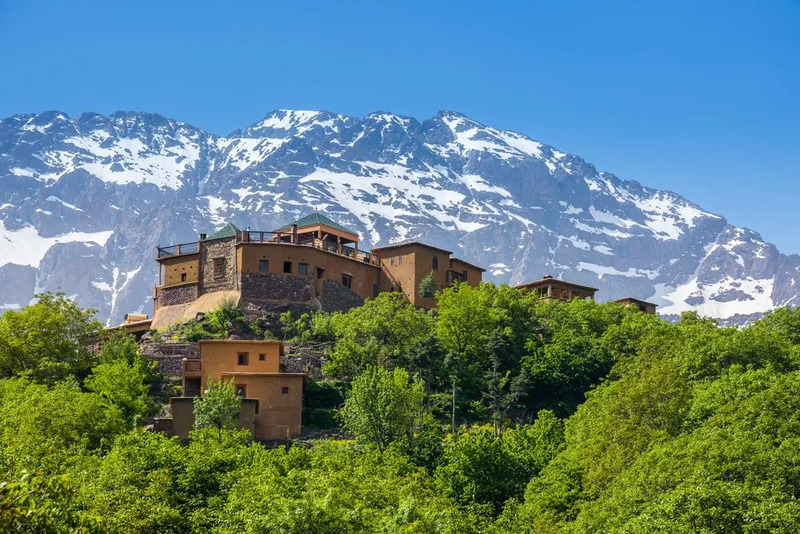 Of course, the highlight of our walking holidays in Morocco is climbing Mount Toubkal, the highest peak in North Africa and the Arab world. Whichever tour you choose, you will meet the friendly Morocco’s people, experience its ancient culture and explore its impressive mountain and desert landscapes.